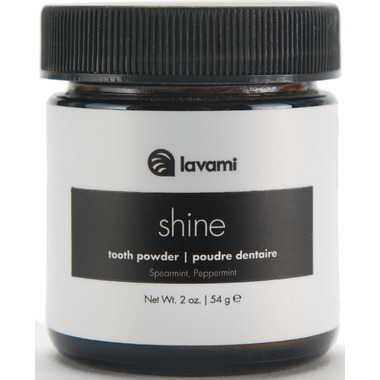 Keep those pearly whites bright and clean with activated charcoal and prebiotics. Removes stains and contributes to overall mouth health by promoting good bacteria. Instructions for Use: Confused on the powder? It's just toothpaste minus the liquids so there doesn't have to be any preservatives. It works just the same. Wet your toothbrush, dip the tip into the powder and brush your teeth as normal. Ingredients: Food-grade calcium carbonate, bentonite clay, white kaolin clay, slippery elm, inulin (prebiotic derived from chicory root), baking soda, charcoal, spearmint oil, peppermint oil.